Obtenez ce transfert de bail pendant 12 mois pour des paiements mensuels équivalents U 1,435.09$/Mois +Tx apr s incitatif. Vous pourrez rouler 2,167 Km par mois. 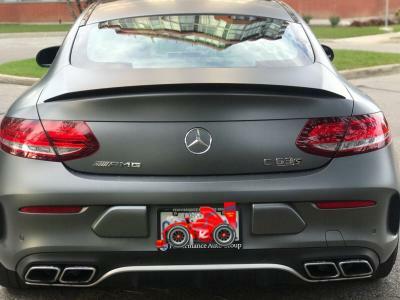 Mercedes C63S AMG 2017 Fermer la fentre. 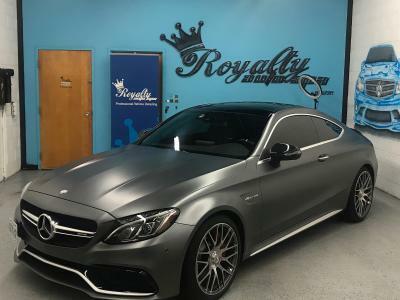 I am looking to get rid of my 2017 C63s AMG. So if anyone is looking to take over my lease this is the opportunity. 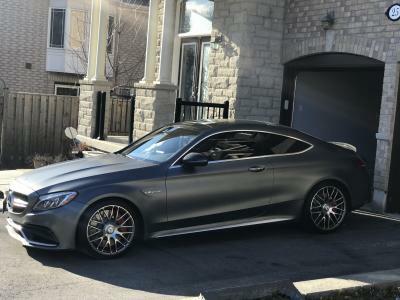 (SPECS) Car: 2017 C63s 4.0 litre bi-turbo - 504 HP!! Colour: Designo selenite grey magno (extremely popular) Kms: 28,000km and change Windows Tinted White Carbon Fibre Interior!!! Carbon Fibre Side view mirrors!! -Lease expires in April 2020 -18,000/year allowance -Total allowance upon return -54,000kms -Pre-Paid maintenance included!! -First class lease protection included!! Total payment -$1460+tax/month!!! Take advantage of the down payment This vehicle is in absolute immaculate condition. Vehicle is also completed with stage 2 ceramic pro. She is an absolute beast! Head turner guaranteed and the colour is to be appreciated! Similar colour online is over $2k/month on lease busters. Vehicle completely maintained at MB dealership. All records and paperwork available. SERIOUS INQUIRES ONLY.